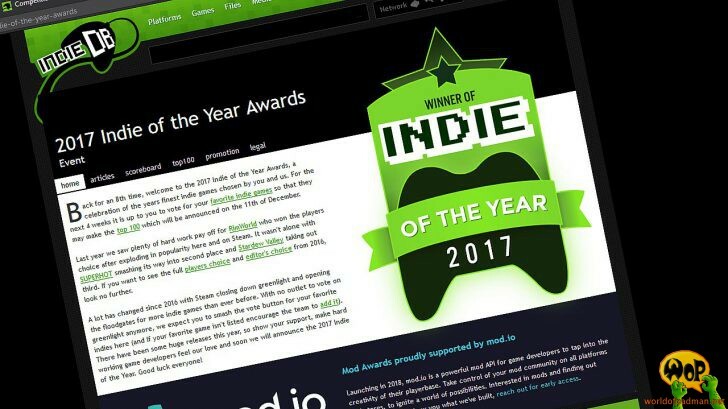 We are a little late because IndieDB already started its Indie of the Year Awards of the year 2017. It has been some time since we ranked there in the Top 100 indie games and I can still remember when World of Padman was the Top 4 Indie Game of the Year in 2007 which is already 10 years ago by now. But back in the days indie games only ranked as one category out of many on ModDB and IndieDB was not even born. We know that we are part of the indie games history there and maybe we can revive a small piece of our former glory. So head to WoP’s IndieDB profile page and start voting! There is still some time left! The results of the TOP 100 indie games have been released, unfortunately we did not make it into the list. Nevertheless, I received first hand information that WoP is still ranked in the TOP 300 games of 2017, with only about 50 votes missing to make it into the TOP 100. So WoP is far from being forgotten. New chance next year.